I have a new power cable for my laptop, so I am back up and running….now to get my posts out :-). 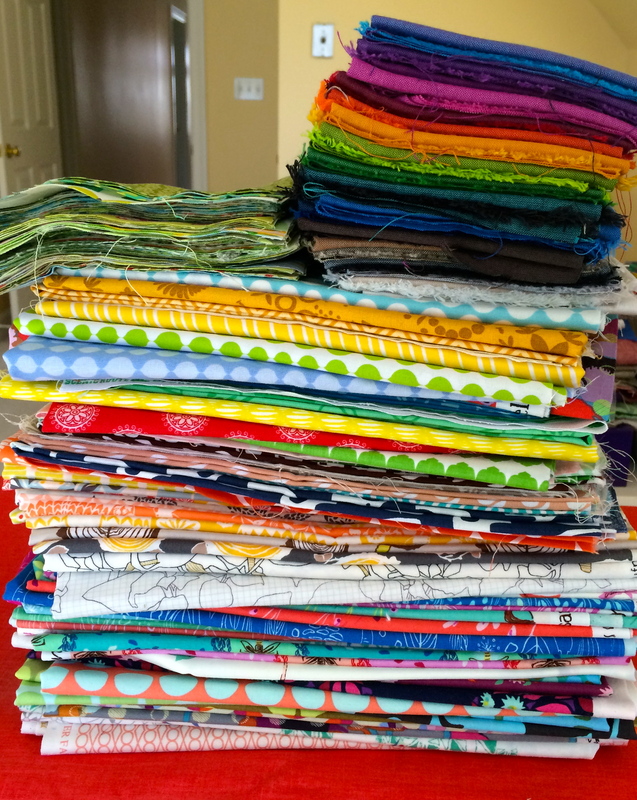 I have a significant pile of fabric to show over the next few weeks…. But let’s start with what arrived in the mail, 01 February from Pink Chalk Fabrics – Japanese Imports Spring Mix FQ Bundle. Don’t you love these vegetable/fruit prints. 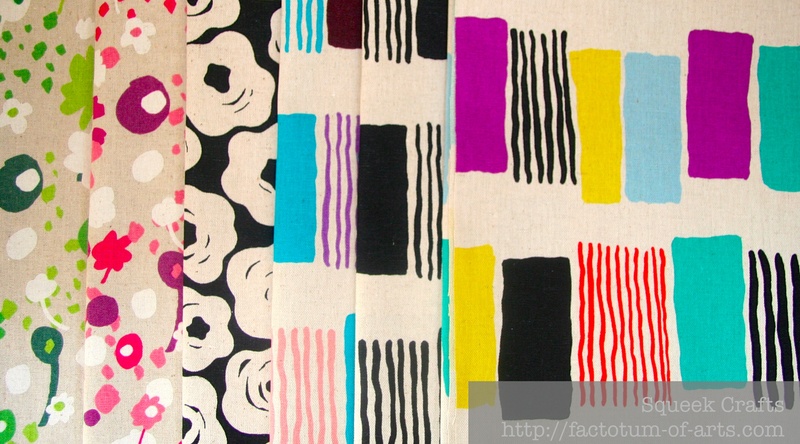 and these wonderful flower prints and stripe prints. A great bundle!! Linking up with Molli Sparkles for Sunday Stash (see button on the right menu). This entry was posted in Uncategorized and tagged Japanese import prints, pink chalk fabrics, sunday stash on February 4, 2014 by mlwilkie. Oh goodness… you have a full stash to start showing off, and I see some major goodies in there! The linen-esque fabrics have such a different tone to the inks. I need to bust into my own collection of Japanese imports and start using them! Argh! I would like nothing more than to refold that pile while I drink my coffee this morning. That’s one of my favorite steps. 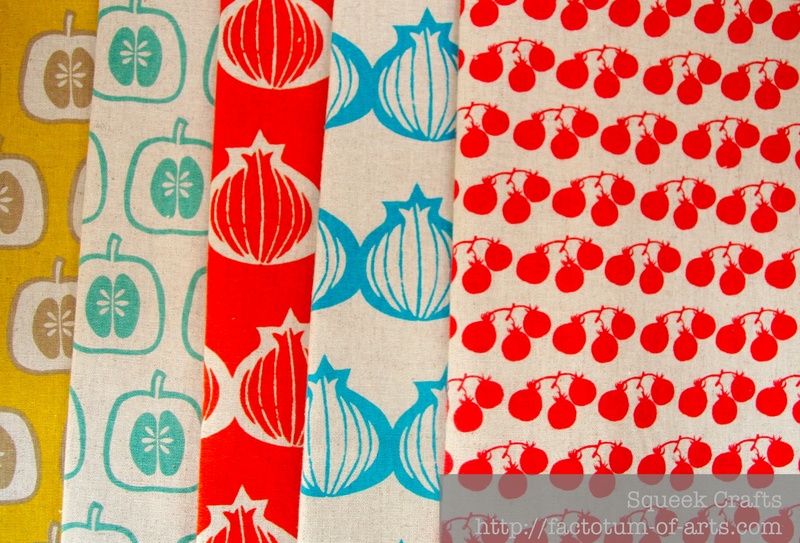 I’m slightly surprised by how much I like that blue onion print (and the… tomatoes on the vine? right next to it). Oh, yes, do I love those veggie/fruit prints!! How did I not see those on my last Pink Chalk splurge?? (I, too, have a whole bunch of new stash to share from there this month ; ) Gorgeous bundle – enjoy! Beautiful fabrics! And I have to agree, those little fruits and veggies are awfully cute!